People with high level of aerobic fitness are able to deal with psychological stress more effectively than others with low level of aerobic fitness. Aerobic is essential in any balanced workout plan, you need to have some in your workout. They show lower cardiovascular arousal when exposed to stress and may be less prone to the depression and illnesses that often follow periods of stress. The most obvious benefits of exercise on the stress process is inducing relaxation, changing mood, and providing a psychological distraction. When confronted with a distressing situation, individuals may exercise to distract themselves from the situation. Physical exercise is considered an emotion focused coping strategy because it fulfills the function of regulating emotional and physiological reactions to the stressor event. The mediation effects of exercise on outcome can be related to both short-term and long-term outcomes. The short-term effects include immediate reductions in emotional and physiological reactions, where as long-term effects occur if the exercise is maintained regularly. The result is enhanced physiological energy, weight control, and muscle development resulting in a body shape that is socially admired and contributes to a positive body image. The Cognitive Process: There is a positive relationship between physical fitness and psychomotor speed (reaction time and movement time) among elderly people. In addition, research investigates the relationship suggests that memory search performance is positively correlated with aerobic fitness. Exercise is associated with modest gains in a number of psychological variables and has been used as a treatment approach for a wide variety of disorders and disturbances. The most common disorders can be treated with exercise include depressive and anxiety disorders, psychoses such as schizophrenia and alcoholism abuse. 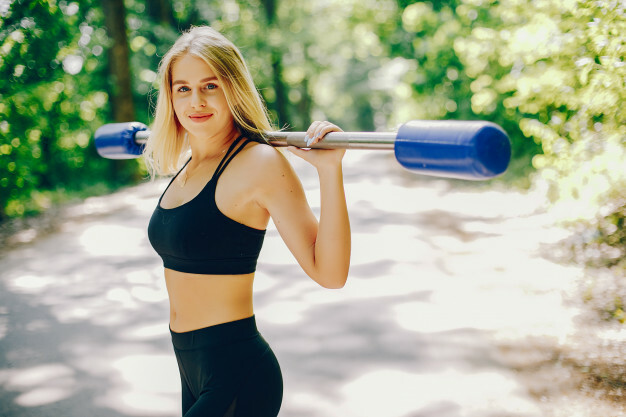 Regular exercise improves mild to moderate depressive symptoms and helps people experiencing bipolar disorders or depression with psychotic features. Exercise may also induce panic attacks among people experiencing panic disorders. Studies on exercise has been shown to have specific overall positive benefits on individuals, and it helps to ward off a host of diseases, all at the same time. However, it must be noted that a lack of exercise will leave a person less equipped to handle many tough situations that life may throw at them; that person might be more inclined to find other destructive ways of managing really tough situations such as drug, alcohol, gambling, among others negative behaviors just to cope with a tough situation. If you are experiencing too much stress at home, try getting away and go somewhere like the gym, go visit a friend, walk the mall or go see a movie that will likely make you forgot about your worries and you will likely end up going back home in a much better mood. Exercising is really you fighting stress in the most positive way for the long run, that way you do let it all overwhelm you. Exercising will break up stress in chunk sizes which makes stress so much easier to handle. You can take charge of stress, or at least concur it better.